What Is Your Positive Affirmation? This week I taught the YHot Teacher Trainers Monday morning and Friday morning. It was such a amazing experience to share my knowledge of teaching with them. We did positive affirmations this morning. Some of them were: I am healthy, Open heart open mind, I am stillness, I am alive, I love my family, and many more. This week my affirmation is I am Grateful. When I am on my mat I think of one thing in my life I am grateful for and take it with my through my day. My affirmation acts as a anchor to bring me back when I get inpatient, reactive, sad, or angry. Try It! It Works! Training this week has been fun. I felt sore from the race (all the hills) but excited for what is to come next. Let the half marathon training begin Oh Ya I am excited. I Love the half marathon distance. Monday I met with Chessa at 6am it was supposed to be steady 45′ but was more a easy 45′ my legs were soooore Chessa was cool with that as she had a hectic weekend and was tired as well. Tuesday was 60′ steady I headed to Stanley Park and got a bit of the run done in the trails. Wednesday was a day off of running. I did a bit of strength training in the new YMCA. I will be teaching a Hatha class there next Wednesday 1-145pm Come check it out! 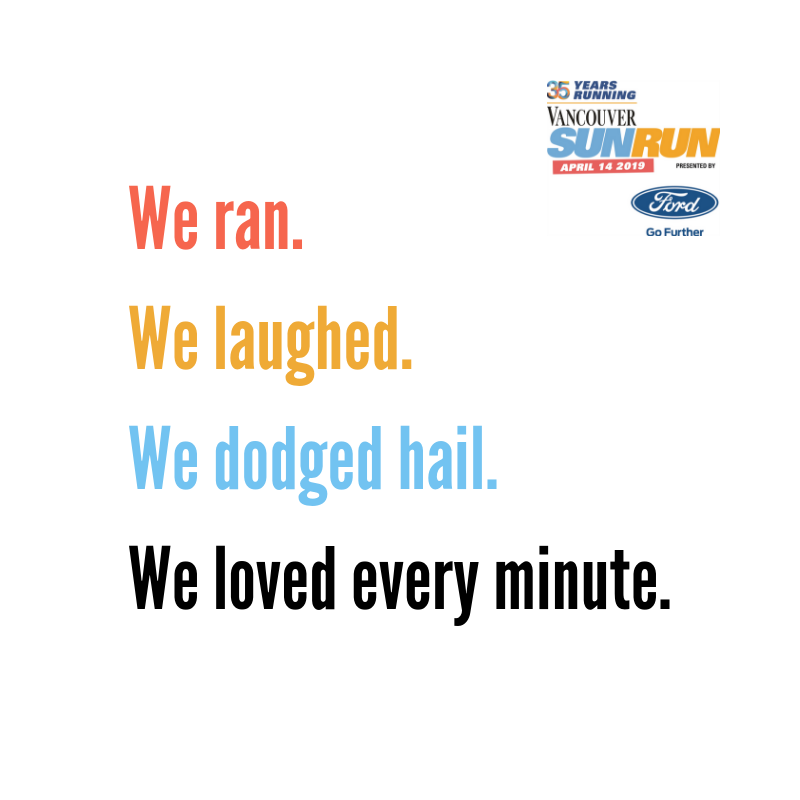 Thursday I felt recovered and got up at 630am for a 2 hour run in the trails of Stanley Park. I created a mix of water/mango coconut water and cliff gel. It was really good and helped me out in the second hour of the run. I felt very relaxed and fresh at the end of the run. Today I had a really busy schedule with teaching the Teacher Trainers I squeezed a 30′ steady run in between my 12pm and 2pm class. I had a private yoga session at my place at 330pm-5pm. I was exhausted after and had to really motivate myself to get out for my second run. Mr Sun came out just as I got out the door and my attitude quickly changed and felt amazing for a 50′ steady run. Sometimes you just have to turn off the mind and get out the door and everything feels good. Good luck to everyone racing in the Masters mile tomorrow! Good luck to all racing the Sandcastle 10k! Fun weekend of racing! I will be doing a tempo run tomorrow morning and a 90′ steady run on Sunday.